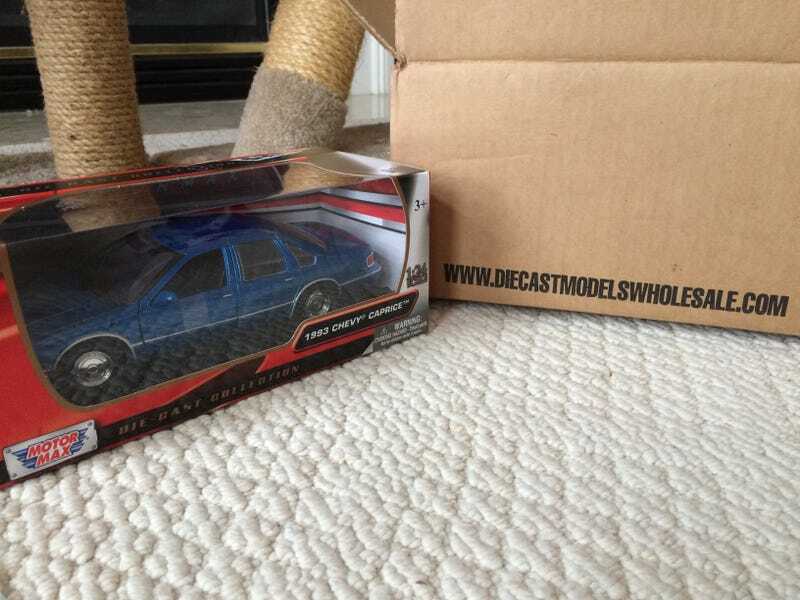 I have officially taken ownership of a 1/24th Motor Max 1993 Chevy Caprice Classic. Hooray for the mundane! Now sitting with its brethren on one of my display case shelves. For ordering diecasts off the internet I heavily recommend diecastmotorswholesale.com, that’s where I got this and a few others from. Their 1/24ths a relatively cheap and while their 1/18ths are pricier than at BJs, Costco, or Sam’s Club, they have literally almost every 1/18th known to man.